Hollywood Property Management, Hollywood Property Managers, Hollywood , FL Property Management Companies. 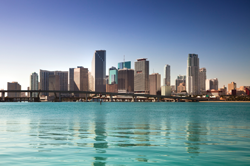 PPM manages residential, multi-family and commercial properties in the Hollywood and Fort Lauderdale metropolitan areas (Dade and Broward counties) – representing clients from the US, Europe and Latin America. Joseph W. Young founded the city in 1925. He dreamed of building a motion picture colony on the East Coast of the United States and named the town after Hollywood, California. Young bought up thousands of acres of land around 1920, and named his new town "Hollywood by the Sea" to distinguish it from his other real estate venture, "Hollywood in the Hills", in New York.